Hey folks! 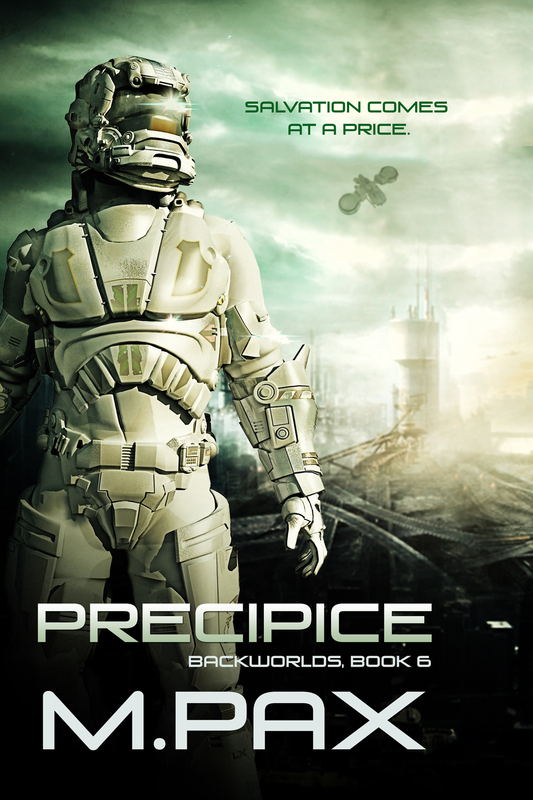 Today I’m happy to introduce you to M. Pax and the story Precipice! M. Pax is author of the space adventure series The Backworlds and the contemporary science fiction series The Rifters, plus other novels and short stories. Fantasy, science fiction, and the weird beckons to her, and she blames Oregon, a source of endless inspiration. 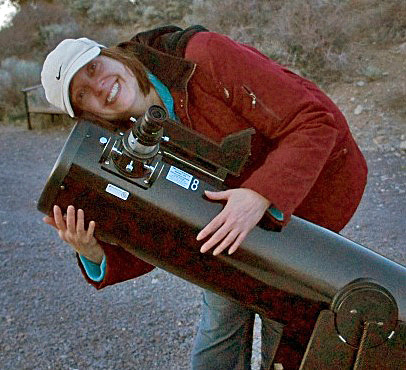 She docents at Pine Mountain Observatory in the summers as a star guide, has a cat with a crush on Mr. Spock, and is slightly obsessed with Jane Austen. I asked M. Pax, “How did you get your start in writing and what fuels you to continue?” and here is the response. The quagmire I was stuck in filled my head with ‘can’ts’. When I thought about returning to writing, my brain hit on an ‘I can’. I sat down at the computer and began to write in earnest. In spurts off and on, I had written all my life. I still have handwritten and typewriter-written stories and partially finished novels in boxes. The first series I wrote after my mother’s advice still sits on my hard drive. So does the second. They weren’t ready for primetime. They were valuable and not a waste of time, though. I learned I could write an entire novel and more ideas waited to burst out onto the page. Best of all, when I’m writing I no longer feel lost. Without a doubt this is what I’m supposed to be doing. My start in publishing was a surprise. I had been going about it the traditional way — seeking an agent to get me to a publisher. Then I ran into Lindsay Buroker on the internet — don’t remember where — and she encouraged me to try this ebook publishing thing (three years ago now). I was a bit skeptical, but I published three very short stories and then a longer short story. By then I was hooked and had received some really good rejection from a big sci-fi magazine. From there, the Backworlds series was born. Publishing isn’t all unicorns and glitter. It’s a tough business. To keep going I draw on every ounce of tenacity I have, (Never give up, never surrender) and I keep in mind the primary reasons I write are because I love it and it makes me happy. Beneath that foundation is the stronger bedrock of my fans. They’re a bunch of awesome people, and now I write as much for them as myself. And here we are, ten books later. The looming war will be a holocaust unless he can stop it, knowing salvation comes at a price. Boing Boing gives The Backworlds 5 stars! “This is a fun, fast paced novel that reminded me a bit of early Heinlein”. “No chips.” She smiled. Her wide mouth contained a lot of very white teeth. M. Pax, thank you for stopping by today! Thanks for hosting me, Jacey. It’s great to be visiting you. What inspires you all to read? Fantastic book.. the whole series sounds great. Huge congrats. It’s a labor of love to write it, TF. I am intrigued. Great cover. Thank you. My cover artist does great work. We’re glad you found your path! I really enjoyed the Topic du Jour. Thank you! Thanks to Mom for getting you writing! If she hadn’t we wouldn’t have these wonderful books to read. Thanks for not giving up.